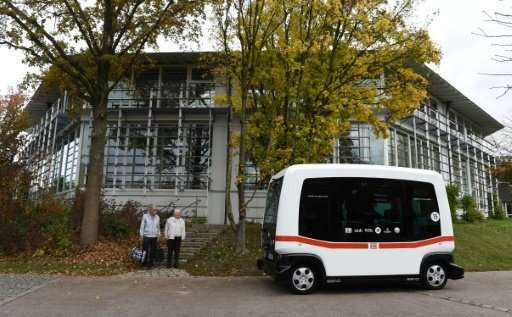 All aboard... German railway company DB's first driverless bus as it tests future modes of transport. DB hopes that in the future they will operate like a private car service, picking up passengers from home on demand and bringing them to the station—picking up others with the same destination along the way. Across the Americas, Asia and Europe, a number of cities—including Paris, Lyon, Las Vegas and Dubai—are already experimenting on a small scale with autonomous vehicles complementing public transport systems.